What a weird morning! 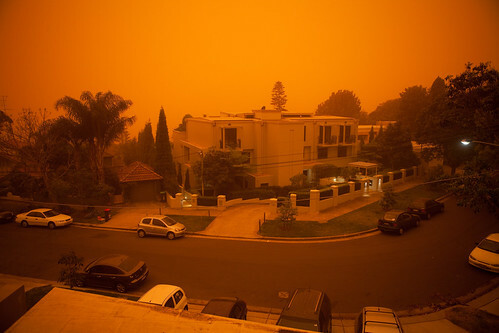 The view today as Sydney gets hit by a dust storm. You can usual see across to Manly, but not today. Thought you might have a good photo of the sky :) ... its just the same here in the Upper Hunter. We were going to take the camera to get some harbour pics but the ferries were cancelled.